We’ve Got Those Helpful Resources You’ve Been Looking For! As the Eco GreenGrid DESIGNER, MANUFACTURER & DISTRIBUTOR, we come into contact with A LOT of great businesses and people, some of whom would be helpful to you, our customer or our website visitor. Therefor, we have created a “helpful resources” page that we will continually add links to. These are people and businesses we feel offer helpful, quality services that we want to pass on to our customers and visitors on our website. We hope you find a helpful resource in the links below. Be sure to keep coming back! We will continue to expand this list. 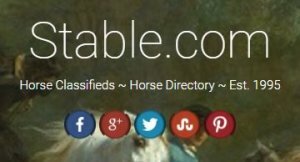 Equine Classifieds, Trail Resources, Barn Contractors and More! Click on the business name to go to their websites. Let Eco GreenGrid come to the rescue! Find out more - download our Brochure. We always use Eco GreenGrid for paths and the base of ponds when we install professional trail courses. It works GREAT!